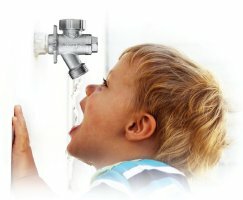 Josam introduces the first 100% potable water source wall hydrant. The 71300 and 71350 series wall hydrants comply with NSF/ANSI 61, NSF/ANSI 372, ASSE 1019, A112.18.1 & AB 1953. Available for mild climate or non-freeze applications. Features include 1/4 turn operation with ceramic disc shut off and integral vacuum breaker/backflow preventer. See the announcement flyer here.